Last week, President Donald Trump enacted high tariffs on imports of steel and aluminum. Why in the world would the U.S. steel and aluminum industries press the president to levy heavy tariffs? The answer is simple. Reducing the amounts of steel and aluminum that hit our shores enables American producers to charge higher prices. Thus, U.S. steel and aluminum producers will earn higher profits, hire more workers and pay them higher wages. They are the visible beneficiaries of Trump's tariffs. But when the government creates a benefit for one American, it is a virtual guarantee that it will come at the expense of another American -- an unseen victim. The victims of steel and aluminum tariffs are the companies that use steel and aluminum. Faced with higher input costs, they become less competitive on the world market. 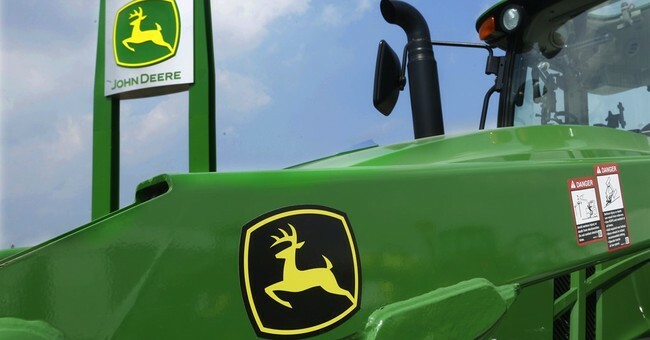 For example, companies such as John Deere may respond to higher steel prices by purchasing their parts in the international market rather than in the U.S. To become more competitive in the world market, some firms may move their production facilities to foreign countries that do not have tariffs on foreign steel and aluminum. Studies by both the Peterson Institute for International Economics and the Consuming Industries Trade Action Coalition show that steel-using industries -- such as the U.S. auto industry, its suppliers and manufacturers of heavy construction equipment -- were harmed by tariffs on steel enacted by George W. Bush. You might wonder how this consumer rip-off sustains itself. After all, the people in the sugar industry are only a tiny percentage of the U.S. population. Here's how it works. It pays for workers and owners in the sugar industry to come up with millions of dollars to lobby congressmen to impose tariffs and quotas on foreign sugar. It means higher profits and higher wages. Also, it's easy to organize the relatively small number of people in the sugar industry. The costs are borne by tens of millions of Americans forced to pay more for the sugar they use. Even if the people knew what the politicians are doing, it wouldn't be worth the cost of trying to unseat a legislator whose vote cost them $20 a year. Politicians know that they won't bear a cost from sugar consumers. But they would pay a political cost from the sugar industry if they didn't vote for tariffs. So they put it to consumers -- but what else is new?